New firms are often seen as the catalyst of innovation and employment growth and are acknowledged for their role in promoting regional competitiveness. Yet new firms face a number of factors, or liabilities, including a lack of sufficient resources, higher vulnerability to external shocks, and greater likelihood to operate farther from the industry’s minimum efficient scale leading to cost disadvantages (Schutjens and Wever 2000). Due to such liabilities, less than half of all new start-ups are expected to survive more than 5 years after entry, regardless of country contexts (Cefis and Marsili 2011). Since their premature exit results in a loss of economic growth opportunities, understanding the factors that influence the survival chances of new firms is essential to promoting a vibrant economy. 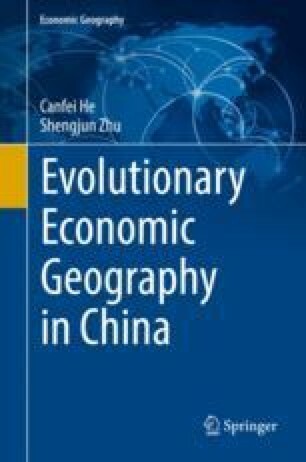 Modified article originally published in [Howell, A., He, C., Yang, R., and Fan, C. C. (2018) Agglomeration, (un)-related variety and new firm survival in China: Do local subsidies matter?. Papers in Regional Science, 97: 485–500.]. Published with kind permission of © [Wiley, 2018]. All Rights Reserved.